When hanging out at home, shopping or going out to eat, most people don't tend to pay attention to ambiance. You'd be surprised though how much emphasis is placed on things like this at businesses. Different times of the day can mean different moods in people. The need for a change in lighting or music can be different throughout the day and can differ from company to company. Coming from a dining background I feel as though I have a pretty good understanding of these changes and needs. With moving into the new house and buying newly themed appliances and decor, I thought it would be a good time to explore some new lighting. I've been very into the antique looks and old farmhouse styles. So when we discovered the beautiful chandelier light a month ago at a popular housewares store, I knew I had to have it for my kitchen. I also knew I would need a special type of bulb to complete the look. 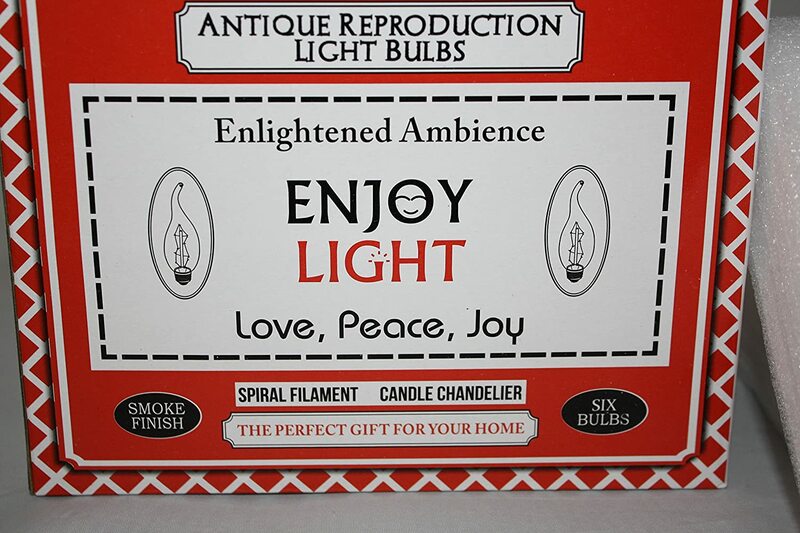 Thankfully Enlightened Ambience asked me to review Dimmable Antique Chandelier Light Bulbs around the same time we purchased the light fixture! 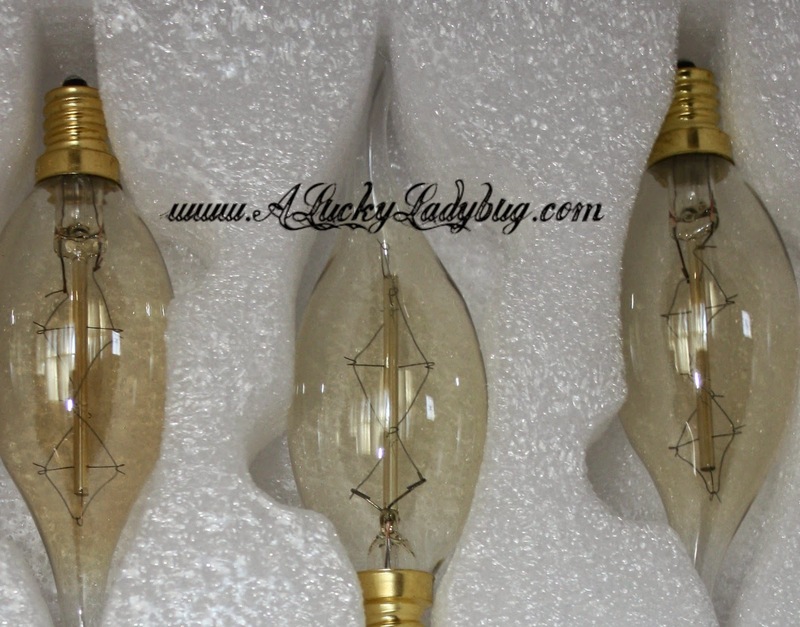 The beautiful 40 watt light bulbs are designed to resemble the vintage look of "the original hand crafted, hand blown filament light bulbs designed by Thomas Edison in 1879". 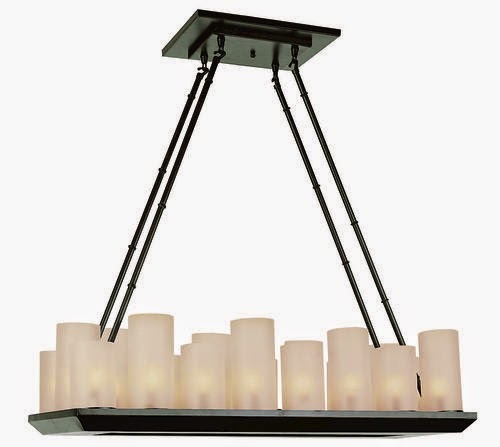 Not only are they dimmable but have a flicker flame design to set the perfect ambiance in the room. They can be adjusted from a low 25 watt to the full 40, fitting in any typical standard candelabra base (E-12). Even better they can last up to 3,000 hours without needing to be replaced and are even indoor/outdoor. I've fallen in love and since acquiring these have been looking for another similar light to add these to as well! Recommendation: Obviously these are more expensive for a light bulb pack but with the unique style and look, I actually feel like they are worth it. I did not know that these existed, but I love them! Great review!